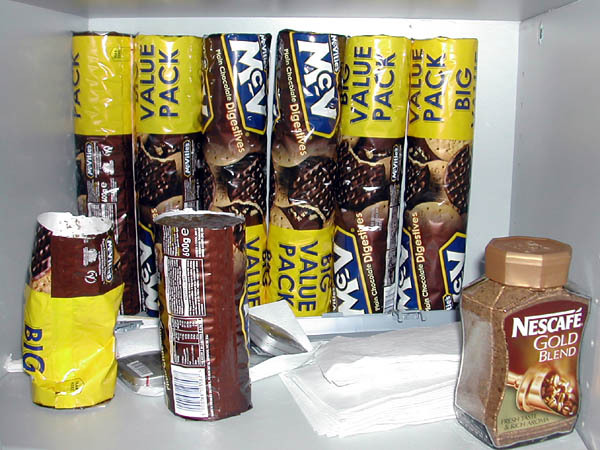 This is Nigel's cupboard. 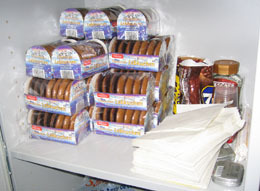 Notice he only eats dark chocolate digestives. 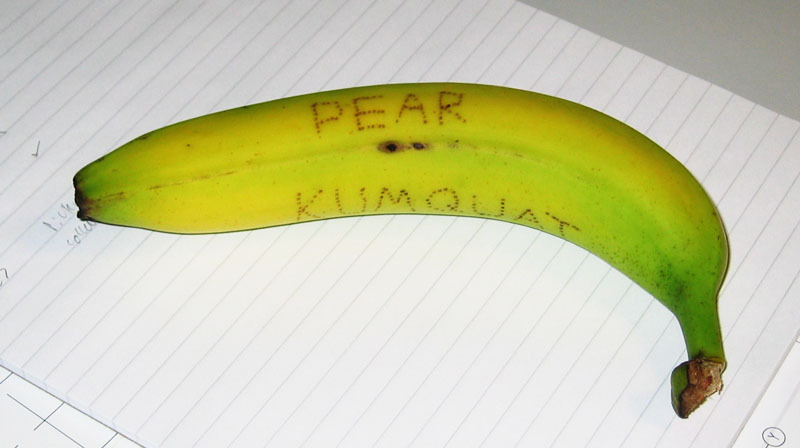 This distinction is very important. 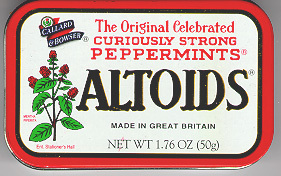 Nigel used to eat many tins of Altoids. 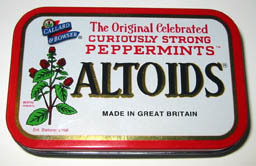 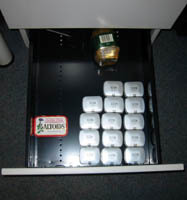 Click here to see a US Altoids tin. 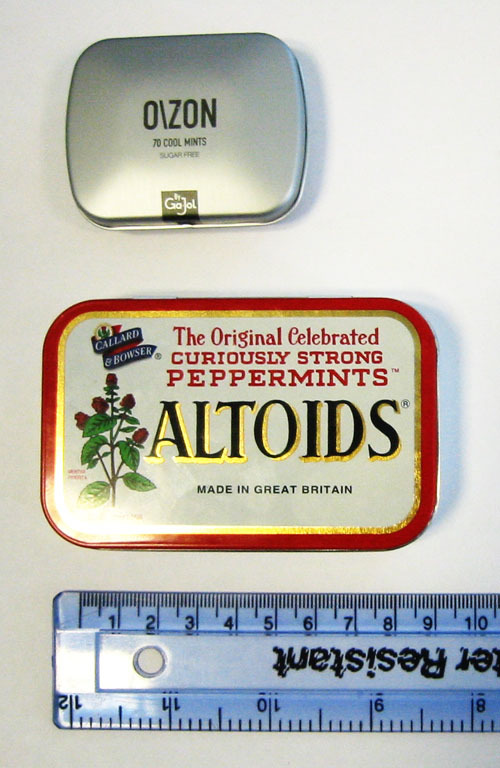 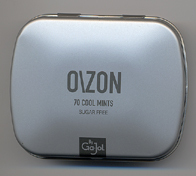 O\zon tins are significantly smaller than Altoids. 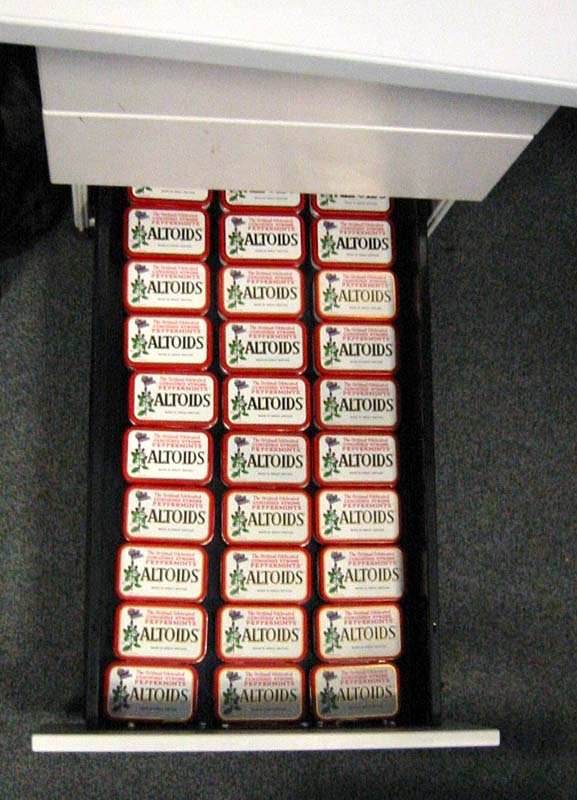 Here is the whole draw of Altoids tins he gave away! See what happened to them on Ebay. 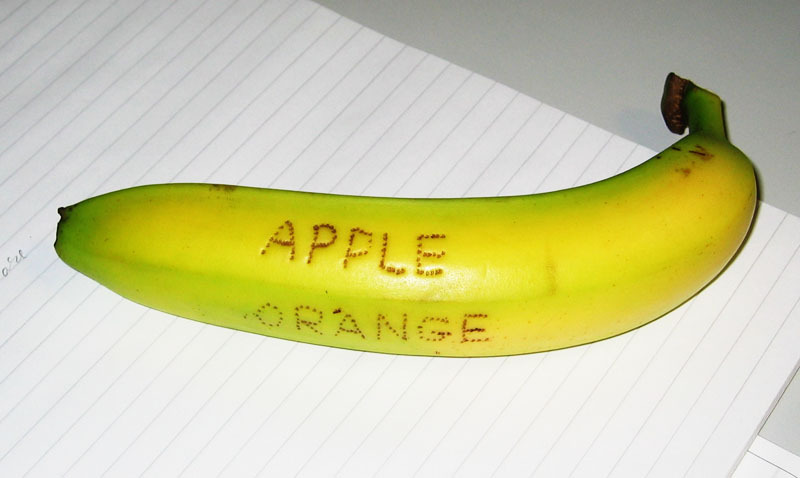 You take you pick, and eat your fruit. 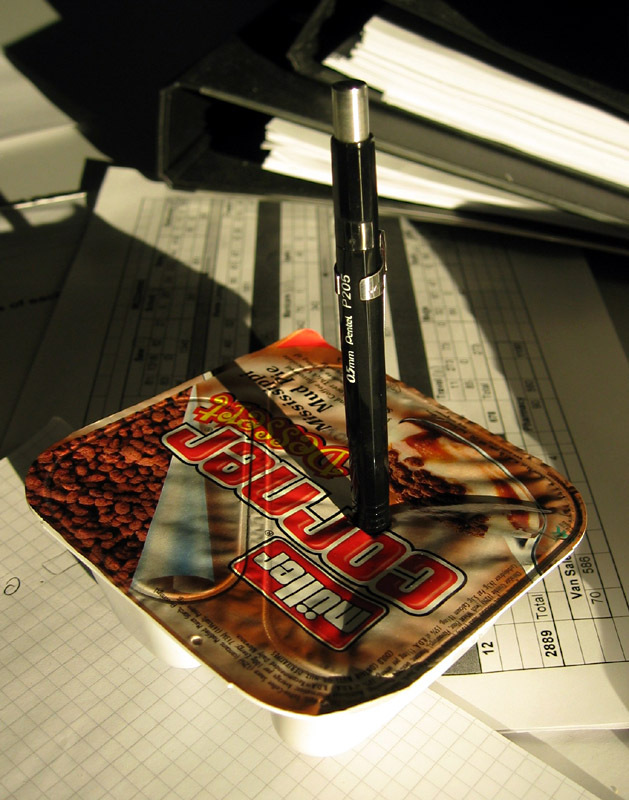 Nigel stuck a mechanical pencil into Oli's Müller desert. Bulk buying food can save money, unless you share them with an office full of snack munchers with a penchant for German ginger cakes.